The Alien archetype is truly one that I believe to have stood the test of time. Despite debuting as the first Reptile-type archetype, it still remains as arguably the best functioning option if you are a Reptile fanatic. As a fun fact, this was the first archetype that I spent a considerable amount of time building in a real life, so I was really excited to see yet another new support card “A” Cell Recombination Device in the new set, Invasion: Vengeance. However, as with any older theme, one new card will not completely overhaul a strategy… so let’s start by innovating with some help from the Blue-Eyes crew, along with one other really special new card that was just released to the OCG in the 20th Anniversary Pack 1st Wave, Passionate Duelists. be seen as being extremely unfocused, because there are 3 different directions support cards take, but for modern Alien builds, you need to center on one of these directions. So without further ado, let’s dive into the nuts and bolts of a Synchro Alien build, what has been perceived as the go-to build for many years. The goal is to abuse Alien Ammonite, a Level 1 tuner, to summon a Level 4 non-tuner Alien from your Graveyard, resulting in a 1-card Level 5 Synchro monsters. All you need is your Normal Summon and an Alien in the Graveyard. Where this deck really takes off is how it can turn that initial Synchro play into 4 Synchro monsters with the help of Code A Ancient Ruins and the themed Synchro, Cosmic Fortress Gol’Gar. So the short introduction is as follows – use Ammonite, then keep bring back your materials time and time again to loop Synchros then eventually just go for game. Seems simple enough, right? our list of requirements from a secondary ‘hybrid’ engine to run with our Aliens. Whenever Sage is Normal Summoned, you can add 1 Level 1 LIGHT tuner to the hand, which includes Ammonite or Effect Veiler should you choose to run it. The second piece of our Blue-Eyes puzzle may just be the best indirect Alien support card ever released – Mausoleum of White. Once per turn, you can send a Normal Monster from your hand or deck to the Graveyard to give a monster you control a slight ATK boost. Isn’t it lovely that the Aliens have a Level 4 Normal Monster of their own, Alien Shocktrooper? This provides our Graveyard setup, but it also gives your deck even more due to the extra Normal Summon of a Level 1 LIGHT tuner each turn. So now, you can resolve an Ammonite twice since you have two normal summons, before you have to resort to looping Code A. As for the last requirement, if you keep looping Mausoleum, you can boost a Gol’Gar up to levels high enough to defeat even Raidraptor – Ultimate Falcon in battle! bounce their continuous Spells and Traps back to the hand to re-use, and even fewer that can do that action 3 times in a single turn. Another interesting part of this archetype is that they gain additional effects based on “A” Counters. These counters double as control methods for some of the support cards, targets for destruction for others, 300 ATK/DEF reduction for each Alien that lists that quality, or simply a method for activating your Alien effects. Isn’t it great that the newest card for Aliens, “A” Cell Recombination Device, gives you multiple counters to work with, an Alien in your Graveyard to reborn with Code A or Ammonite, and a search of a second Ammonite on a subsequent turn. Again, there are very few archetypes that have a setup card that also searches the key monster that needed the setup in the first place. Lastly, this deck also happens to mesh perfectly with King of the Feral Imps, another searcher that gets you to everything you need. Between Imps, Recombination, and Sage, you should have no problems getting to your Alien Ammonite and Synchro Summoning your way to victory. Swords of Revealing Light – In an Alien deck, Gol’Gar can continuously bounce this back to the hand each turn, giving yourself an infinite wall stopping your opponent from attacking. At least until they destroy it. Swords of Concealing Light – Similar to the above reasoning, except you have a way of shutting down all of your opponent’s monster effects once per turn. This is a great way of getting over Crystal Wing Synchro Dragon, especially since it is so prevalent in today’s modern era. Passionate Duelists – A more passive option, this card simply throws wrenches in your opponent’s plan. Since it prevents monsters summoned from the Extra deck from attacking the turn they are summoned, it serves as a stall tactic versus many opponents. On the other hand, you can trade in your attacks to destroy your opponent’s backrow. Lastly, it also lets you recover a monster from your Graveyard instead of drawing, so you have yet another way to get the Ammonites you need to your hand. Brilliant Fusion – If you so choose to forgo the Blue-Eyes engine, a Brilliant Alien deck is definitely functional and extremely effective. Simply switch in Level 4 LIGHT Aliens, such as Alien Kid, and you can run Gem-Knight Lazuli since it adds back a Shocktrooper to the hand. It will serve as an alternative method to Mausoleum for getting additional Normal Summons for Ammonite. 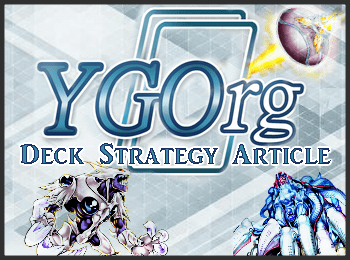 Magician’s Encore – If you are running the Blue-Eyes variant as this article is mainly geared towards, this new release in the OCG is a great card to consider. Once per turn, you can bring back any of your Spellcaster tuners with Eyes of Blue. Then simply return it to the hand with Gol’Gar, and do so again and again. This strategy gives you more tuners to work with, in the case that you want to go for non Gol’Gar Syncho monsters, such as T.G. Hyper Librarian. Big Bang Shot – Consider this the removal option that pairs best with Gol’Gar. Whenever Big Bang leaves the field, it banishes its equip target. So, simply equip it to an opponent’s monster, then bounce it back to the hand and banish your opponent’s monster in the process. If you happen to be Synchro looping with Gol’Gar, you could even banish your opponent’s entire monster lineup in the process! Symbol of Heritage – Consider this a Premature Burial as long as you have 3 monsters with the same name in your Graveyard. This should not be hard when you are running 3 Shocktrooper and 6 cards that send him directly to the Graveyard. If you have Mausoleum as well, all you need is 2 returns by a Gol’Gar to use one copy of Mausoleum to prime the Graveyard for Heritage. Call of the Haunted – The slower version of Heritage, but it works! Bring back monsters, use them as Synchro material, then bounce back your Call for future use. Really simple. Fiendish Chain – Isn’t it great to have monster negation that can be recycled each and every turn for re-use? I think it’s awesome! Phantom Knights’ Fog Blade – The better Fiendish Chain. Please run this instead. Thank you. Safe Zone – The Trap version of Big Bang Shot, the biggest difference is the additional protection it can provide in a pinch if you need to protect one of your monsters. And the Band Played On – This floodgates seriously impacts many decks in the current format, since they all want to Special Summon monsters of the same level before going into plays. Your opponent can’t easily make Xyz monsters if they can’t Special Summon the second monster required! Also, this has 0 impact on you before you make Gol’Gar, since it can just bounce the floodgate back to the hand on summoning for you to continue to Synchro loop. Grave of the Super Ancient Organism – The second floodgate trap option, this one locks out all stronger monsters. Good thing Gol’Gar is a Level 5 and dodges it, while also bouncing it back to the hand for whenever you need to summon something with a bit more of a punch. Now that we got the mega list of options out of the way, it’s time to tackle the key cards of an Alien-Eyes deck. Alien Ammonite – Goes without saying, but this is imperative for any Synchro Alien build. Alien Shocktrooper – The combination with Mausoleum is just too good to pass up. Alien Overlord – Serves as another Alien to unlock the Level 7 of Synchro Summoning, send counters among all of your opponent’s face-up monsters, and be another good search target for Recombination. Sage with Eyes of Blue – Ammonite searcher on a body. That’s all folks. Mysterious Triangle – Destroys an opponent’s monster with an “A” Counter, then you get to summon a Level 4 Alien. Combine with Gol’Gar, Recombination, or Overlord and profit. “A” Cell Recombination Device – We already discussed how amazing this card is. Don’t need to keep saying it. Code A Ancient Ruins – If you want to Synchro spam with Aliens, this is the card that is required. Multiple copies ensure that your spamming goes on, and it also is the main form of recovery for your Aliens. Mausoleum of White – Provides the extra Normal Summoning power to the deck, the Graveyard setup, and ATK boosts. What more could you ask for? Cosmic Fortress Gol’Gar – There is no Alien deck without our boss fortress. It is amazing, worship it. As you can tell, the list of key cards is very small, especially when the Alien archetype has over 30 members and support cards in total. Such a shame that people just assumed the other support cards are terrible. So much potential that has to be completely wasted for a theme that Synchro loops with just a couple of cards. If only the archetype had better support options… eh, I just must be dreaming right. As with any older theme, one new card will not completely overhaul a strategy… well let me stop right there. That just isn’t quite true. Talk about some case of Déjà vu, because you should remember that line from the beginning of this article. You see, sometimes it takes looking at a strategy through a new lens in order to fully appreciate just how much an archetype can be impacted by new support. A couple steps backwards can make all the different when trying to achieve progress towards a better strategy, deckbuild, and success rate. Archetypes can develop away from what used to be conceived as the absolute best manner of running them, even when a new card that seemingly supports said ‘best strategy’ is released. Therefore, many times when approaching an archetype, you need to understand the stereotypes about how the specific archetype excels, that way you know what pitfalls to avoid when designing something brand new. modern Alien deck looks like. You would expect to see a Synchro looping build, since Aliens are infamous as the one-trick pony that loops 3 Gol’Gar into a final Synchro monster, just like mainstream Alien decks have been played since Crimson Crisis. So that’s precisely how I started this article – presenting the archetype exactly as you’d expect. Now, let’s turn the table, and build a deck NOT focused around those inconsistent lucky combos that never saw Aliens to break into the top tables. Because let’s face it – no matter how many ways you try and build consistency into a turbo deck, you will never have the power to stand up to modern archetypes unless you can stop your opponent from playing. Unless said strategy is Frog FTK, because there has to be at least one exception. Quite frankly, Synchro Aliens can’t interrupt the opponent much at all. They have very little interaction with the opponent’s field, outside of Gol’Gar’s destruction. So, let me present another path – one that takes some of the lessons and techs from the Synchro portion of this article, but without any tunnel vision! So clear your mind, and let’s take a brand new look at what the Alien archetype is all about. opponent summons in the next 3 turns gain an “A” Counter. This concept was revisited by “A” Cell Recombination Device, as it generates “A” Counters before turning into a searcher for the archetype. But despite these uniquely branded support cards, there is one other key component to the Alien archetype – they always have two options to resolve problems. You see, this dual role of support cards hadn’t really been picked up by archetypes until the second half of Zexal and the first half of Arc V, which is the point when pretty much every single archetype support card has multiple effects to benefit the theme. Look no further than the True King support cards coming in Maximum Crisis, because that is just how it is. drain us and our planet, such as Super Metroid. Therefore, it only makes sense that the Yu-Gi-Oh Alien archetype has the same choice: if your opponent summons powerful monsters, you can choose to either destroy them, take control of them, or drain their strength. The first option is covered by the support cards, Alien Telepath, and Gol’Gar. These monsters only add to the destructive capabilities of their triangle, detonation devices, and of course, their viruses. The second option is covered by Mass Hypnosis, letting you take control of up to 3 monsters with “A” Counter(s), Brainwashing Beam, (a one-monster control swap), or Alien Hypno. The third option is just relying on the innate property of “A” Counters themselves – weakening your opponent whenever the correct Aliens are in play. That being said, before moving forward, I want to take a minute to talk about this third option in further detail, specifically in the realm of rulings relating to Aliens, just to clear the air and make sure we are all on the same page. 300 ATK and DEF for each A-Counter during damage calculation only.)”. Now what is interesting is that this line does not appear on every Alien monster, nor does it even appear on every Alien that generates “A” Counters. So at the end of the day, this ATK and DEF drop only applies if you have one of the Aliens on the field that has this specific line. This is the reason why Alien Kid and Alien Telepath are seen by archetype lovers like me to be the best Level 4 monsters in the theme, simply because they ensure that your opponent’s monsters will be weakened. Now, this also means that the effect stacks with one another. So if you happened to have 5 Alien monsters on your field that had the effect, then that simply means that your opponent’s monster loses 1500 ATK and DEF for each “A” Counter on it whenever it battles an Alien. This stacks up rather quickly, and definitely gives the Aliens a bit more bulk, especially if you aren’t planning on having them be used solely as Synchro fodder. need to be running too many – but the ability to recover an “A” Counter every time you remove some from the field is amazing. This lets Gol’Gar use its effect to destroy more times, it lets Code A function with less other Continuous Spells to bounce, and it lets you reduce an opponent’s monster to 0 in a pinch by using your own Telepath to destroy it and then transfer all of its counters to your opponent’s monsters. This is especially useful if you want to Mass Hypnosis, especially in today’s age when every strong monster wants to float. With that, we’ve covered the basics of an Alien deck, so all the rest of the slots go to staples. Let’s spend a bit of time talking about some other options to consider if you plan on branching out with your own deckbuilding adventure. Alien Hypno – This is a sleeper OP Alien monster, simply because it is locked behind the Gemini mechanic. Why? Because it is not limited to once per turn. With the combination of Overlord and Hypno, you can steal every single monster your opponent controls. Not bad eh? Instant Fusion – The sheer power that Norden offers to any deck cannot be emphasized enough. Norden unlocks King of the Feral Imps without using the Normal Summon with any Level 4 in your Graveyard, which then can search Ammonite, to then get out a Gol’Gar. It is also important to begin with a Norden since we should be running Call of the Haunted which can be recycled to use turn after turn. Oasis of Dragon Souls – If 3 copies of CotH isn’t enough recyclable recovery for you, then perhaps you want to try running Oasis as well. Or, use this if you want your monsters summoned in Defense Position. Offering to the Snake Diety – This is the Icarus Attack for the Reptile-type, just it destroys the Reptile you control. Remember that this also makes a counter appear on Code A, so this plays well with your Alien Support! “A” Cell Scatterburst – This used to be the spot “A” Counter generator of choice before Recombination, so you may want to consider using it. Then again, it seems fairly outdated nowadays, so this is only if you really want to play up the Counter playstyle. Alien Brain – If your opponent succeeds in attacking over one of your Aliens, simply steal their monster. It really is that simple – no Counter requirement or anything. Evil Dragon Ananta – An endgame option for Reptile-type decks, this can become a serious boss monster. If you have a good enough setup to protect it for multiple turns, it can even start destroying your opponent’s field one card at a time. The downside is that it removes any Graveyard setup that you have accomplished over the duel, making it an all-in. Alien Mars – Wanna negate all of your opponent’s monster effects? Do so with this and sufficient “A” Counter production! Kagetokage – With Level 4 Aliens, this serves as an important tool for accessing your Rank 4, King of the Feral Imps. It is also searchable by the aforementioned Xyz monster, and is a DARK monster in the case that you want to try to run a DARK-heavy Alien deck to run Allure of Darkness. Unexpected Dai – If you are really, really partial to the Shocktroopers, feel free to consider running this as well. Brilliant Fusion – Just as with the last variant, this is totally an option to consider. However, if you do choose to run a Brilliant engine, be sure to include Hypno so that way you have something to combo with Lazuli. Catalyst Field – If you choose to run Hypno over Alien Kid, Catalyst is an excellent option, because it gives you the opportunity to steal monsters each turn with Hypno while also destroying a card once per turn. I find this to be a very interesting tech option for archetypes with only one or two applicable Gemini monsters, so just keep that in mind. Viper’s Rebirth – Spell form of Special Summoning from the Graveyard, just keep it in mind for pure Alien variants without any other monsters. Black Garden – If you choose to run Alien Kid, you can focus a build around the Garden. Your opponent has to Special Summon a monster with 2200 attack to get over Kid’s “A” Counter reduction and the Garden ATK reduction. In full disclosure, this was one card that was cut from my build during testing, so this might be a sub-par option. As always, the lists above are just my personal builds. As I said, I’ve been loving Aliens since the olden days, and that wasn’t even when I began playing the game… talk about being a dinosaur. I hope that this article’s unique design helped to open your mind to the possibilities – you need to be mindful of stereotypes whenever building a new strategy. Until the next time, keep innovating and building creative decks! Most of all, just enjoy dueling for the fun that it can be!